It’s no secret that coffee wakes you up, feeds your cravings, and gives you energy to power through a long day. 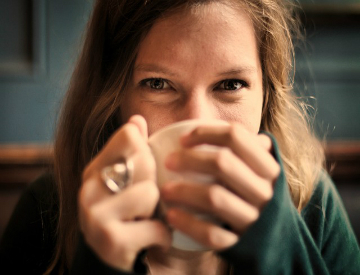 Now, research is showing that coffee has yet another benefit: it’s good for your liver. The antioxidants present in large amounts in high-quality coffees, such as our Hawaiian Ka’u coffee, are thought to decrease your risk of developing liver cancer. These findings were published in a recent report by the World Cancer Research Fund, and they’re pretty convincing. In analyzing a wide array of previous studies that investigated various lifestyle factors and their relationship with cancer, researchers found that those who drink coffee consistently may have up to a 14% lower risk of developing liver cancer than those who don’t drink coffee. Collectively, data from more than 8.2 million adults was used in the studies. Though researchers are not entirely sure of the mechanism that could be causing the reduced risk of liver cancer in the coffee drinkers, it has been proposed that it’s the high antioxidant content of coffee that accounts for this effect. Antioxidants have been previously shown to reduce the risk of cancers by affecting the inflammatory process in the body. The report suggests that coffee may also protect against other cancers, but the effects on the liver are the most pronounced and notable. So, if liver disease runs in your family or you just want to do something good for your health, indulge in a cup of coffee as a part of your morning routine. There’s no reason to feel guilty. Just make sure you’re purchasing high-quality coffee such as the Hawaiian Ka’u coffee from Hawaii’s Local Buzz. Our beans are grown using sustainable farming methods, and you can taste the fresh mountain air in every sip.